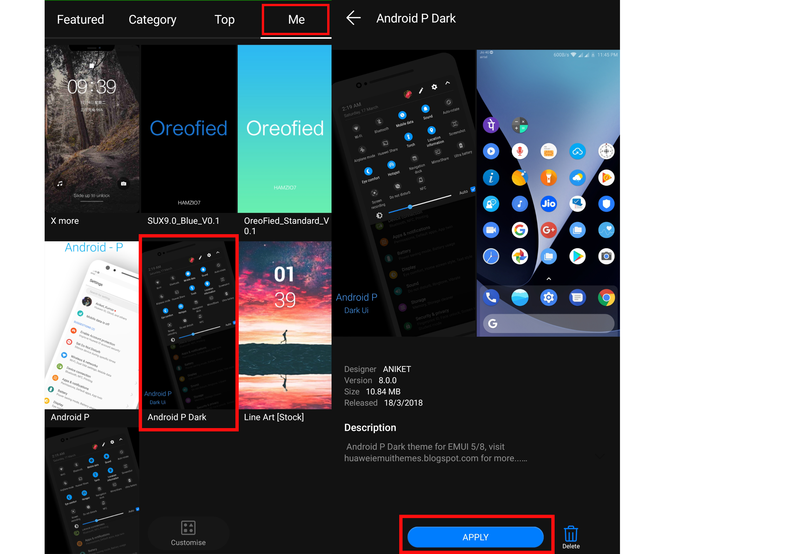 Home › How to Apply Custom EMUI Themes? How to Apply Custom EMUI Themes? How to Apply Custom EMUI theme and themes Available on Playstore? But there are some guys who still want to know how to apply custom theme on EMUI 8/5/4. 1. 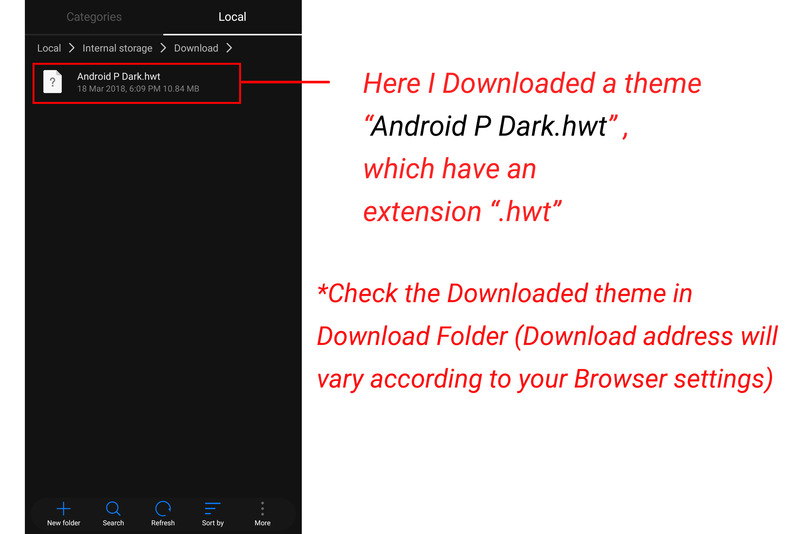 Make sure the theme you have downloaded has an extension ".hwt"
2. 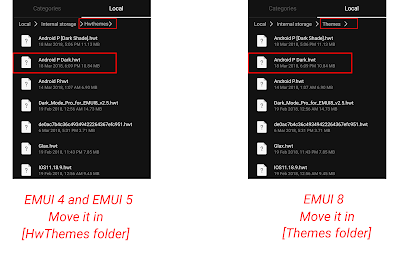 Now move the Downloaded theme into "Hwtheme" folder [EMUI 4 and EMUI 5] and if you are running on EMUI 8 then Move the downloaded theme into "Theme" Folder. How To Download on this blog?